Pilla Panther X7-C Post Shooting Lens. Pilla has been in shooting sports for over 25 years. In 2015 Pilla teamed up with World Champion Max Michel to develop a system of light management and color manipulation to enhance the visual performance of glasses for the action shooter. 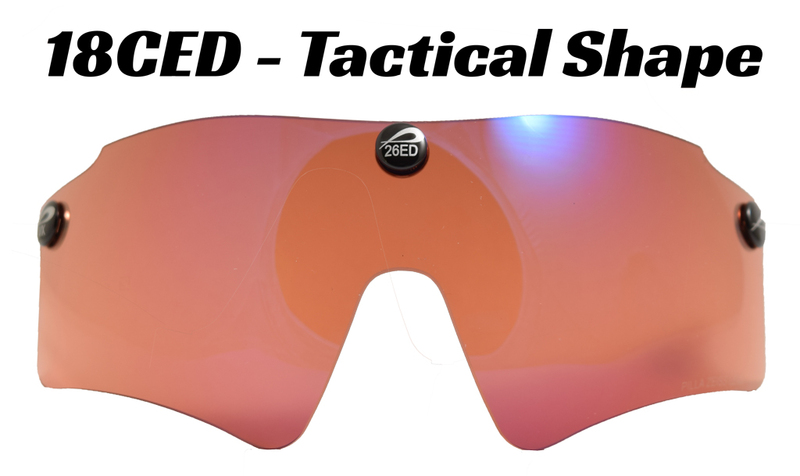 The reality is glasses in the sport of Action shooting such as IPSC, USPSA, IDPA or 3-Gun, were primarily a necessary piece of gear to have to participate. Pilla has entered the world of Action Shooting to present the performance of lens technology as a performance tool. This piece of equipment is capable of enhancing a shooter’s vision for quicker target acquisition while providing crystal clear definition in a variety of action shooting disciplines. Pilla offers lens science by ZEISS from full sun to low light and even lenses to enhance specific targets found in 3 gun. From IPSC, USPSA, IDPA to 3-Gun there is no company that provides a better light management and visual enhancement system than Pilla. Championship athletes train diligently to achieve peak endurance, strength and skill within their competitive fields. Unfortunately, these efforts are all too often compromised by the neglect of visual performance. A lack of quality eyewear can lead to eye fatigue, an inability to focus, and the degradation of hand/eye coordination, depth perception, and timing. At Pilla, we make athletes’ vision better by providing the ultimate in visual equipment. The key to our competitive advantage is our partnership with ZEISS, which provides access to engineering expertise and technology few in the world possess. The end result is PILLA ZEISS Lenses. An unmatched color enhancing technology delivering clarity and defined contrast for the best athletic optical experience possible. Not only must the lens provide perfect optics, but the frame design must marry perfectly to the lens so as not to not dilute the efficacy of the optical performance of a ZEISS lens product. To provide confidence you are purchasing a PILLA ZEISS lenses, we have put a seal of authenticity on every lens. If the ZEISS “Z” is not found on the backside of either our dual lens or mask lenses, the lens is not a ZEISS lens. Period. Pilla products exceed a very stringent optical standard to carry the ZEISS name. Our optics are not certified to be perfect until a ZEISS engineer says they are perfect. All PILLA ZEISS lenses utilize the industry-leading, anti-reflective technology invented by ZEISS with a 7-layer coating. The ZEISS anti-reflective used on all PILLA ZEISS lenses reduces 99.9% of all visual noise on the backside of the lens. Visual noise on the backside of the lens is a huge distraction compromising athletic performance. When wearing a lens with either no anti-reflective coating or a lens with a poor performing anti-reflective, the eye is distracted and focus is compromised. All PILLA ZEISS lenses use the very best anti reflective found in the world. This 7-layer coating sheets water directly off the front of the lens, reduces smudging of finger prints, and adds a hard coat for easy cleaning and superior scratch resistance. ZEISS quality-control standards are more restrictive than international standards. Every lens fit to a Pilla frame geometry must pass a quality-control inspection by a ZEISS engineer to be certified. Through visual inspection, ZEISS engineers inspect all leses through ZEISS microscopes in the lab to find any imperfection, no matter how insignificant. All PILLA ZEISS lenses are subjected to rigorous accelerated weather tests to ensure excellent coating durability in extreme solar or other extreme weather conditions. PILLA ZEISS lenses must then pass or exceed the following standards: ANSI Z87.1, ANSI Z80.3, AS1067, ISO 12312-1. To pass the ANSI Z87.1 high-mass impact test, the lens must be able to withstand the blunt impact of a 500g steel missile dropped from a height of over four feet. PILLA ZEISS lenses exceed the standards of this test. 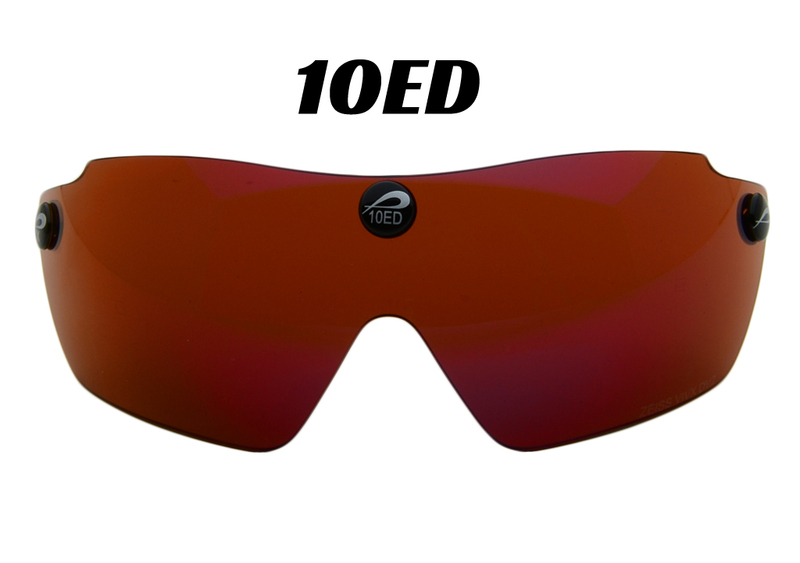 10ED: The 10ED is a must have for bright-light conditions. This lens science uses the Enhanced Definition profile to produce rich color reproduction. This lens is designed to relax the eye in bright-light conditions. 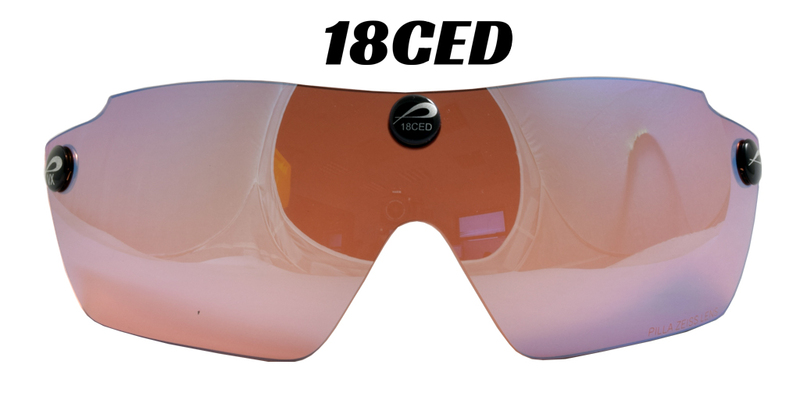 18CED: **Tactical Shape** This lens has rich natural color enhancement while cutting glare with “Super Flash” - a new high performance coating on the exterior of the mask for glare reduction in full Sun. The curve is very balanced and sits squarely between the 10ED and the 26ED. 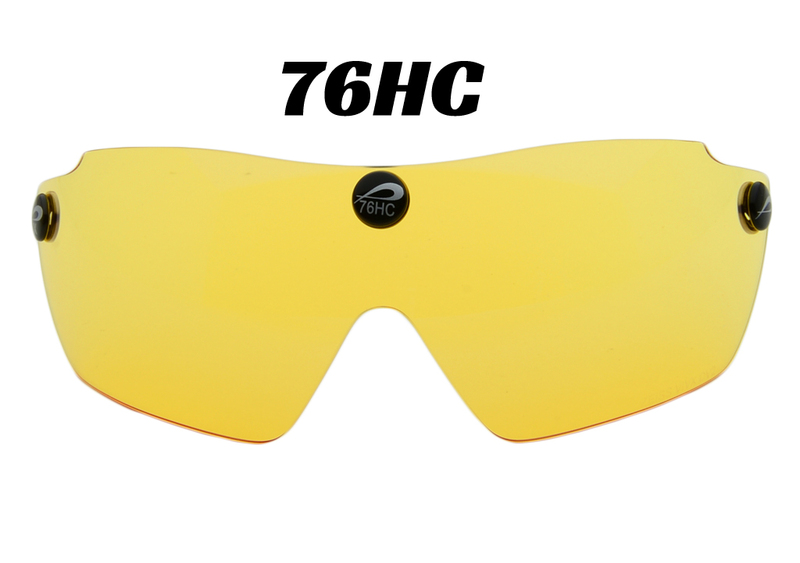 This is a high sun lens with accelerated performance features. 26ED: Enhanced Definition lenses produce perfect color balance while enhancing the entire color spectrum for vibrant target resolution. The 26ED is a high light lens with true representation of the target color values. A very vivid bright light lens. 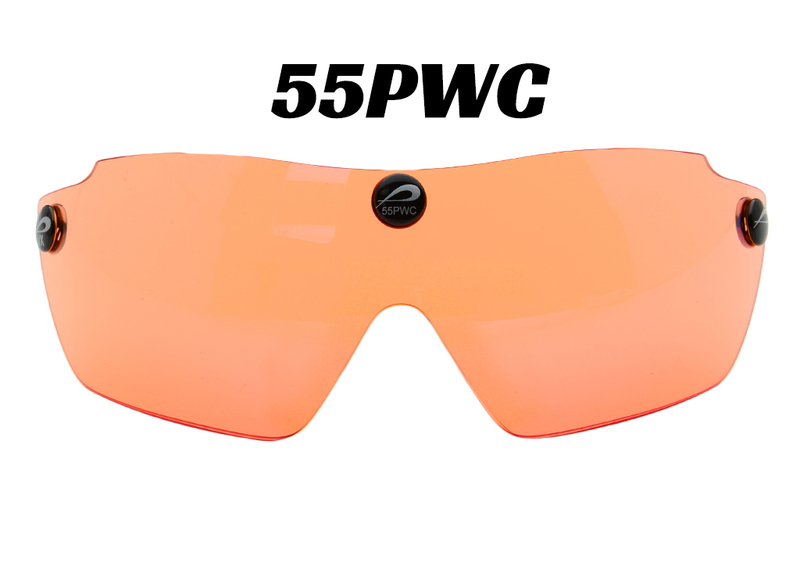 55PWC: (MEDIUM LIGHT) The 55PWC uses both our Max Orange Technology and Chromashift. The Peach color curve accelerates both Pink and Orange targets and even lime green. The lens pushes elements of the visual spectrum to produce rich color saturation for maximum detail while shifting the registration of the target color. This is a must have for the target shooter. 76HC: a “must have” lens for any shooter shooting in low light. This is a high contrast lens that Pilla and ZEISS have engineered to light up the sight picture without losing definition or depth of field in low light. This lens is fantastic in a fog or deep in the woods. target of completely black target being thrown. 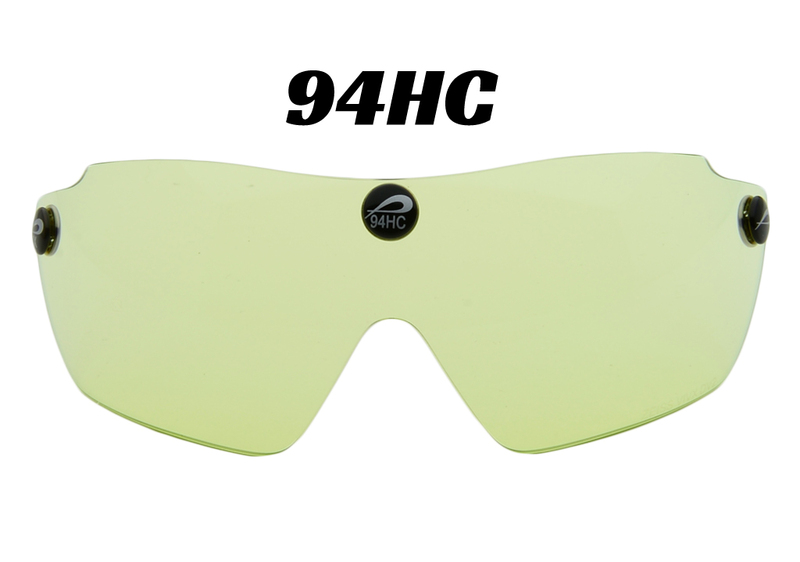 94HC: a high transmittance lens that is perfect for extreme low light. The lens provides very sharp registration of the visual sight picture. The filtration curve of the lens helps reduce haze in low light. The high performance anti-reflective quality gives the shooter a high performance tool to create sharp images. 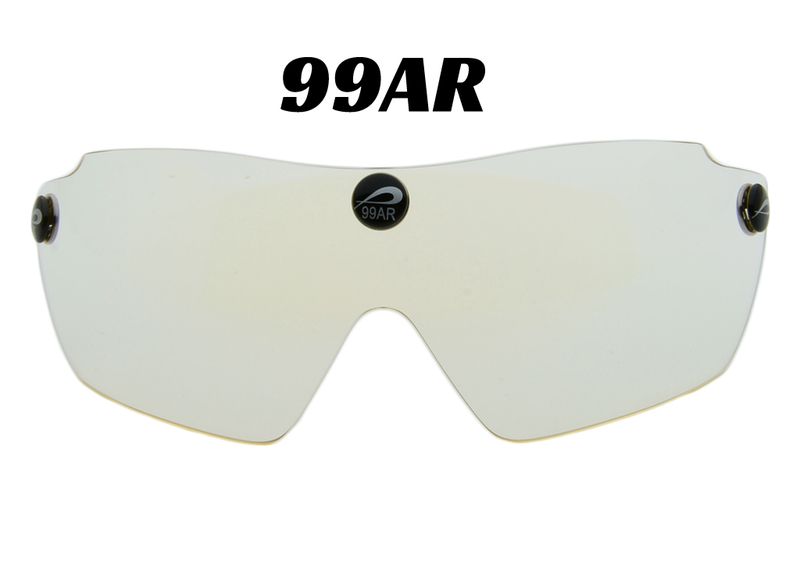 99AR: The 99AR is the high transmittance lens Pilla offers. This is a new lens that is almost clear and has a very high performance Anti-Reflective technology on the backside of the lens.